If you are nearsighted, farsighted, or have astigmatism, and wish to reduce or eliminate your need for corrective eyewear, you may be a LASIK candidate. While LASIK is an excellent option for accomplishing this goal, it is not the best fit for every patient. 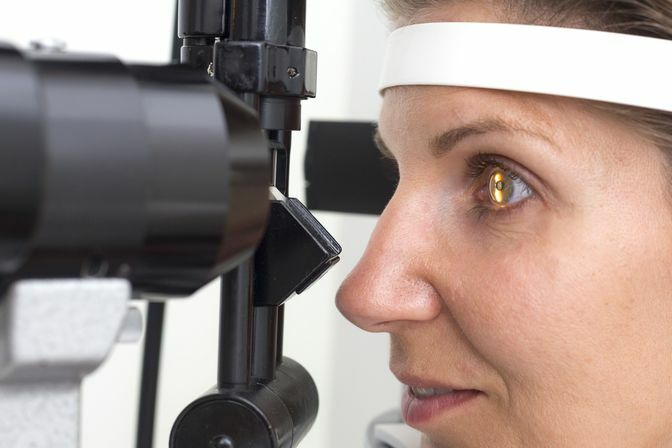 At Southwest Eyecare & Laser, in Bakersfield, CA, we have an experienced team that can evaluate your ocular health to determine your LASIK candidacy. There are many candidacy requirements, including being over 18 and having adequate corneal thickness. If LASIK is right for you, you will undergo treatment with hands-on care by our experienced surgeon. Dr. Gregory Stainer has provided LASIK eye surgery to many satisfied patients and can help you plan your personalized treatment based on your goals. If you do not meet the requirements for LASIK, PRK or Visian ICL™ may be a better solution for you. We will conduct a series of tests to determine what, if any, vision problems you may be experiencing. A member of our skilled team will measure your visual acuity, eye pressure, and the overall health of each eye. Once it has been established that you are in need of corrective treatment, you will have a consultation with Dr. Stainer to discuss your goals and the associated risks of the procedure. Your evaluation and consultation will provide us with all the necessary information to determine if you are a suitable candidate for LASIK. Undergoing LASIK eye surgery requires patients to commit to pre- and post-surgery responsibilities to prevent complications. You may be required to stop wearing contact lenses several weeks prior to your procedure. Post-treatment responsibilities include a dedication to comply with medication requirements and to attend regularly scheduled eye exams to monitor recovery. In order for your procedure and recovery to be successful, we need you to be committed to every step of care. Dr. Gregory Stainer has provided LASIK eye surgery to many satisfied patients and can help you plan your personalized treatment based on your goals. At Southwest Eyecare & Laser, we pair our substantial combined experience with our dedication to serve our clients' best interests. We will provide you with top-of-the-line ocular care and advice so that you can find a vision correction solution that is right for you. Contact us online or call us at (661) 833-4040 to schedule a LASIK consultation.